Martin Shkreli, the former pharmaceutical executive and hedge fund manager who was convicted of fraud last year, has been transferred to Fort Dix, a low-security federal prison in New Jersey. Shkreli had been held at a federal jail in Brooklyn since September 2017, when a judge revoked his bail for offering his online followers $5,000 to bring him a strand of Hillary Clinton's hair. He was sentenced to seven years in prison last month for securities fraud and conspiracy. Tuesday was his last day at the Brooklyn Metropolitan Detention Center, according the Federal Bureau of Prisons. Now he's residing at Fort Dix Federal Correctional Institution, a prison that also has a minimum security camp. Fort Dix has nearly 4,000 prisoners, and about 300 at the camp. Shkreli's lawyer, Ben Brafman, declined to comment. He had requested that Shkreli serve time at Canaan US Penitentiary in Waymart, Pennsylvania, a high-security prison with an adjacent minimum-security camp. 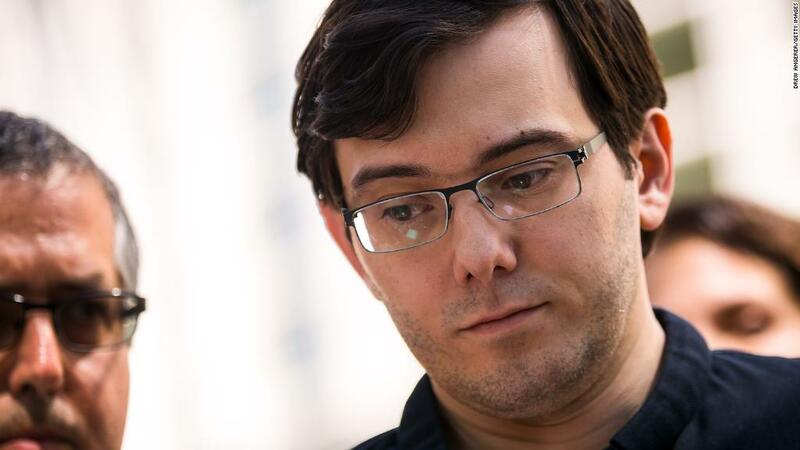 Shkreli, 35, was convicted of mismanaging money at his hedge funds and defrauding investors out of more than $10 million. He also has to forfeit $7.4 million in assets, which could include a one-of-a-kind album, "Once Upon a Time in Shaolin," that he bought from the Wu-Tang Clan for $2 million. But he is best known for hiking up the price of the life-saving drug Daraprim, a treatment for HIV patients, from $13.50 a pill to $750, in 2015 when he was chief executive office of Turing Pharmaceuticals. Correction: An earlier version of this article incorrectly reported that the judge had ordered that Shkreli must turn over the Wu-Tang Clan album.